The MJC Halaal Trust in terms of its certification policy DOES NOT certify chain stores comprehensively. 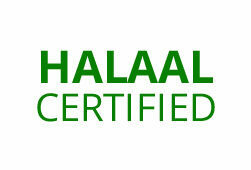 The MJCHT only certifies dedicated sections located within Chain stores as Halaal. The Halaal certificate, as a rule, will be displayed at the Halaal Certified Sections and we have currently Halaal certified sections in three Food Lovers Stores only. Fresher Meat Packers is the only MJC Halaal Certified in-store Butcher.